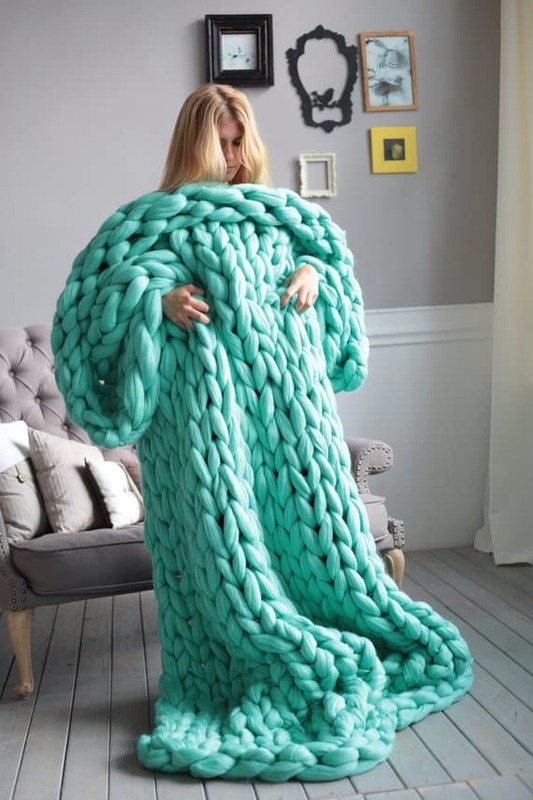 Giant knit blankets are so popular right now, whether your want a giant knitted blanket for yourself or a gift, here’s 8 amazing choices. Can you image how cozy you’d be all wrapped up and snug in one of these giant blankets? Personally, we’d never want to leave the bed! 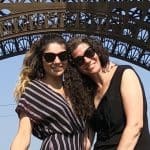 The BEST giant knit blankets are actually handmade, we’ve rounded up the 8 best sources for buying a giant knit blanket for your self or as a gift for someone special. These are ALL highly rated sellers, so we know you’ll be so happy with your purchase. We’ve also included 2 couple great options if you want to make your own or to buy the supplies for someone as a present. 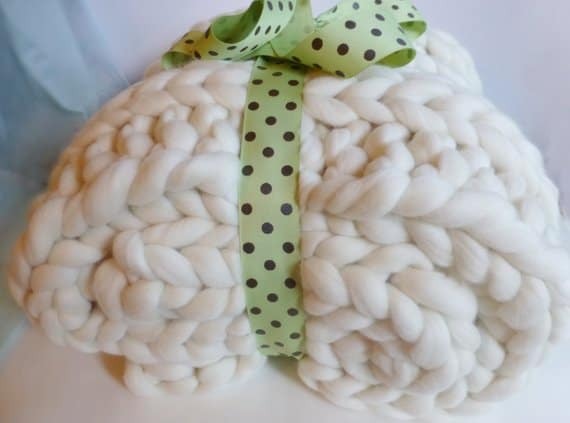 If you’re giving a giant yarn blanket as a gift, make sure to order it asap! Because these are handmade items, most require purchasing at least a couple weeks in advance. 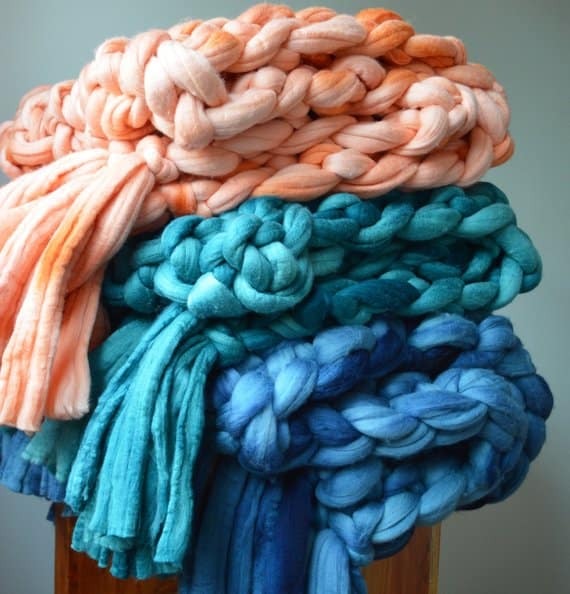 Buying the huge jumbo yarn IS high quality and a large amount of it is needed to make a giant knit blanket. Most of these sellers have different size options depending on your budget and intended blanket use. Regardless of which blanket you buy from the list, you’re getting a gorgeous cozy heirloom you’ll definitely use daily! If you decide to make your own giant knit blanket, be sure to get your free pattern, tips and yarn sources at that bottom of this post. 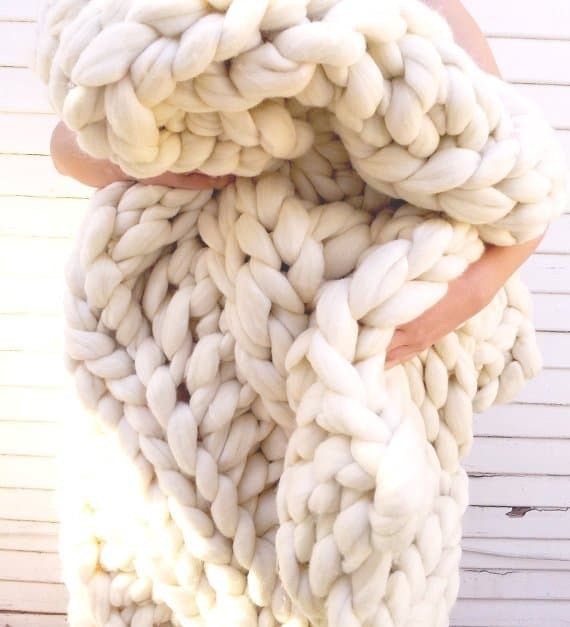 When most people think of a giant knitted blanket, this next cozy white giant blanket in merino wool is what comes to mind. This is the blanket we just purchased ourselves, and can’t wait to watch Hallmark Christmas movies all winter cuddled up in this beautiful cozy blanket. This is actually the most popular seller with our readers, many have purchased yarn and jumbo needles from this shop to make their own blanket too! A Jumbo Knit Blanket for Cheap! This seller makes her handmade blankets with acrylic yarn, which brings the cost down considerably. 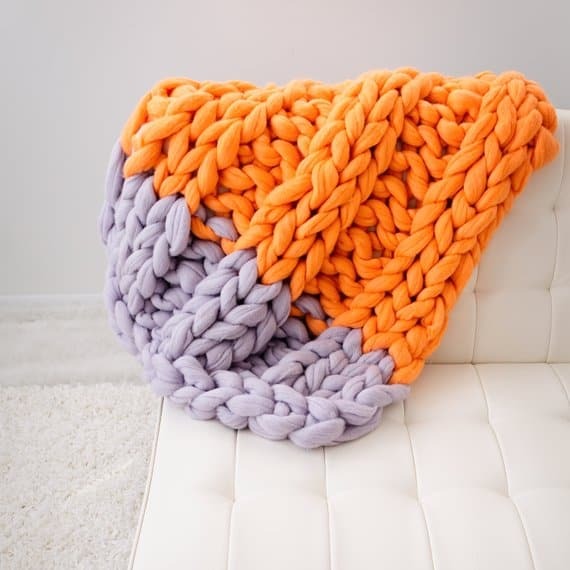 If you’re looking for a gorgeous handmade chunky blanket for cheap, this is our top pick! We made a blanket out of the same yarn this seller uses, and it is VERY soft and we love that it doesn’t shed either. 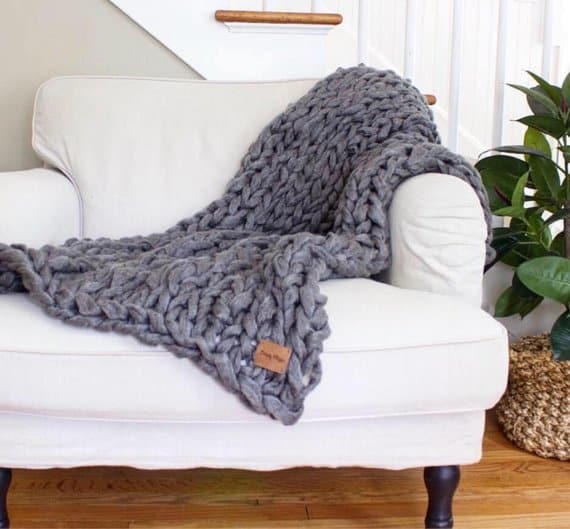 If you love giant knit but don’t want it in wool, this seller offers a gorgeous vegan giant knitted blanket you’ll absolutely love! This gorgeous and fun giant knitted blanket is a custom order this shop will put together for you in 2-3 different colors. 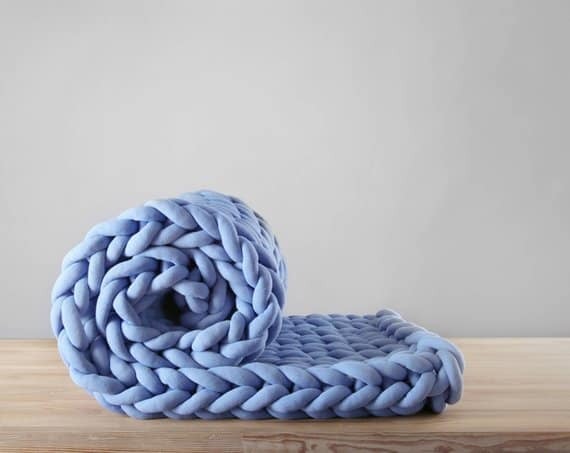 Ohhio braid is another vegan type of “yarn” that makes a fabulous giant knit blanket. Instead of wool, it’s make from a unique type of cotton core/polyester blend yarn that’s pretty amazing stuff! While purchasing a giant knit blanket is a great option, making your own with either jumbo needles or by arm knitting is actually so easy to do! We’ve made two of them ourselves and arm knitting your own chunky blanket is a perfect project for beginners too. If you truly want a giant knit blanket for cheap, the best way is to make your own. One of our top picks for MAKING a chunky knit blanket with wool (here’s the link to one of our top choices! ), is by using this easy to follow free Youtube tutorial for a giant knit blanket by A Place of Our Taste. This video is so mesmerizing to watch! If you’re trying to make a chunky knit blanket cheap, one of our favorite options is using this popular acrylic yarn and following along with this free arm knitting giant blanket tutorial by Simply Maggie. The craft store won’t have enough in stock, I always have to purchase it online. While this yarn isn’t as jumbo as the merino wool options above, if you’re making a chunky knit blanket for cheap, this is a great option.